What is your Cancellation/Returned Check Policy? What if I need to change my child's Summer Camp session? How do you screen your camp counselors? Ages 7-8, no more than 8 campers per counselor. Ages 9-15, no more than 10 campers per counselor. We offer the opportunity for campers staying for two or more consecutive weeks to send their dirty clothes offsite for laundering. 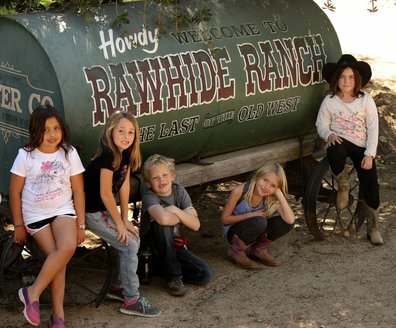 Laundry facilities are not available at the Ranch. The cost is $15.00 for a single load. All laundering fees are due and payable at checkout. The stay-over campers are reminded multiple times on Thursday morning about the laundry service and it is the camper’s responsibility to make sure they bring their laundry to the office on Thursday in time for the service pick-up. Daily "coffee breaks" give campers time to relax, have a cool drink or snack & visit our camp store. The amount of spending money they'll need will depend on which camp they are coming to. If they are coming for just a couple of days (Girl Scout, School groups, Spotlight Weekends, etc...) we would suggest around $20 (cash only). If they are coming to Summer Camp or Winter Camp (week long camps), then we typically suggest around $40-$60 for the week. 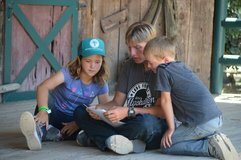 "Pony Bucks" are the currency of choice during each camper’s visit during Summer and Winter Camp. Please refer to Page No.3 of the "Parent's Guide - Summer Camp" or Page No.2 of the "Parent's Guide - Winter Camp". 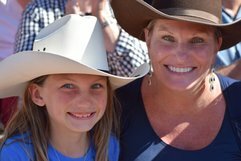 You may download either of the Parent's Guides from this page (Parent's Corral). Can I request a cabin mate for my camper? Yes. Upon registration, you are welcome to list a 1st choice Cabin Mate request as well as an alternate choice, should your 1st choice not be available. To ensure your camper and the cabin mate they requested are together, each buddy should request each other. Campers are bunked by age, so cabin mates need to be close in age (within one year). We are not able to accommodate group requests (more than about 3 friends), but our program is designed for campers to have the opportunity to spend their entire day together within their program groups; so if your camper is attending camp with a group of friends, they will be assured of spending most of their time together if they choose to. All campers will be placed in to cabin groups according to birth gender.